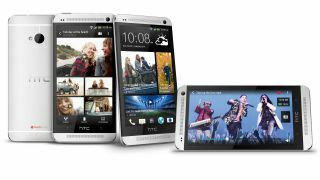 In the inaugural TechRadar MWC Awards, there could be only one Best In Show - and our crack team of experts deemed the HTC One the cream of this year's mobile crop. The One also took the coveted Best Phone award, while the Best Tablet went to the impressive Sony Xperia Tablet Z and the People's Choice award went to Firefox OS. "It's been tremendously hard to judge these awards - congratulations to those that won!" said Gareth Beavis, phones and tablets editor at TechRadar. "The sheer level of competition shows that we're in for a strong 2013 in terms of technology and new levels of innovation, with Full HD screens, waterproof designs, next generation connectivity and even new ways of charging our phones being very much to the fore." Explaining why the HTC One took Best Phone, he described it as "refreshing" for "combining innovation with consumer needs". "While we were very impressed with efforts from LG, Sony and Huawei, HTC's combination of stunning design, alternative camera technology and cutting edge specs have created a real buzz around its impending launch," he added. When it came to Best Tablet it was a hard won battle for the Xperia Tablet Z. Gareth explained: "Another close fight between Sony and Samsung, but the Xperia Tablet Z prevails due to its lightweight design, NFC integration and sheer screen quality - we found it very hard to fault in our preview. "Samsung's Galaxy Note 8 was a strong contender, as the S Pen / screen size combination is really impressive, but the Xperia Tablet Z edged it thanks to its impressive Reality Display." On to the People's Choice award, and it was Mozilla's open source OS that took gold. "Firefox OS has had an inauspicious start to life, but it really came to the fore at MWC 2013 thanks to a number of manufacturers pledging to support the platform with devices," said Gareth, explaining the judges' motivations. "It might be designed for emerging markets, but the OS has a real chance of making waves in budget smartphones and could herald a new way of developing apps for phones in the future." And finally, the Best in Show - what Gareth describes as "a superbly tricky category to call". But it was the show floor that swung it for HTC: "You only needed to look at the swaths of people clustered around the HTC stand to play with the One to see that this is where the buzz resides at the show this year." If all that talk of top-notch mobile madness has left you thirsty for more mobile action, catch up with all the news, hands on reviews and in-depth analysis in our comprehensive MWC 2013 round up.